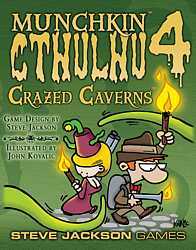 Munchkin Cthulhu has already driven you mad, and now it's even madder! The 16 Portals and 20 Dungeons in Crazed Caverns open up whole new dimensions to explore... and we all know what a great idea that can be, right? What could go wrong?